The routing number on a check is the ABA Routing Transit Number (RTN) of your bank, and is used to identify your bank when you write a check. This routing number is also used to identify your bank when you do things like set up automatic bill payments, direct deposits, and other financial transactions. You can find your check routing number on the lower left hand side of any bank check, next to the check and checking account numbers. You can also lookup your routing number with the routing number search or browse through the full routing numbers directory . The routing number on the bottom of a check is printed in machine-readable magnetic ink, so ATMs and other machines can automatically lookup and verify the bank and checking account that the check belongs to. To prevent tampering, the routing number is placed in several secondary locations on the check as well. You must know your correct routing number in order to clear a check or set up electronic payments. If your bank’s routing number changes, checks or payments using the old check routing number will bounce and be returned unpaid. To learn more about the uses and details of check routing numbers, please read “What Is A Routing Number?”. 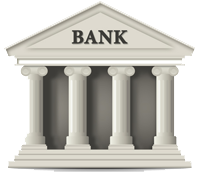 If you are looking to find a routing number, use the routing number search or the search form at the top of this page.